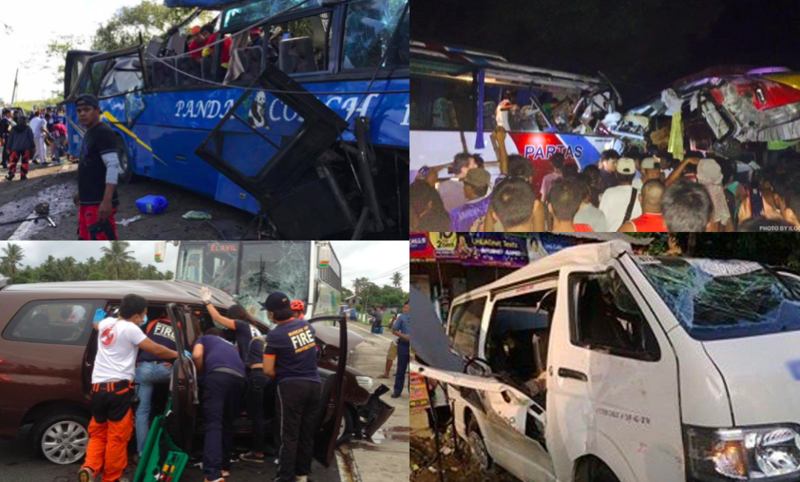 Just some of the fatal road traffic incidents reported by PLN in recent times. The Philippines is having a “hard time” cutting the “unacceptably high” death toll on its roads, the UN General Assembly has been told. Speaking in New York today (Friday, April 13), Cesar Sarmiento, chairman of the House transportation committee, said the country was struggling to meet the global target of cutting road crash fatalities by half in 2020. He added that despite ongoing efforts to promote road safety, “the number of road traffic crashes globally remains unacceptably high”. In the case of the Philippines, he said, “we are also having a hard time meeting the target”. In 2010, the General Assembly adopted a resolution that urged member-states to curb traffic deaths and injuries by at least 50 per cent by 2020. The Philippines sought to achieve this by launching the Philippine Road Safety Action Plan in 2011, later updated last December. Despite this plan and a steady stream of policies passed — that are not always widely enforced — road crash fatalities have continued to mount. In 2015, for example, 10,012 people died in road traffic incidents. Sarmiento said, however, that there was a need to “strengthen our resolve” to meet the global target. He expressed the Philippines’ support for the UN draft resolution on improving global road safety, which was adopted during the same session. “We take special notice as well of actions cited in the resolution that we believe will address the road safety issue on a cultural level. This is what is needed in the Philippines – to create a culture of road safety among our people,” he added. Sarmiento also said that stricter law enforcement would “help instil discipline and deter unsafe driving behaviour”. The most recent fatal collision reported by PLN involved the death of British man James William McGrory. He was killed in a head-on collision when a truck veered into his lane in Davao City earlier this month.